First of all a very very Happy New Year to all of you !!! This is my first blog post in 2017, and I’ll start with the most happening thing with SQL Server, which is SQL Server for Linux. 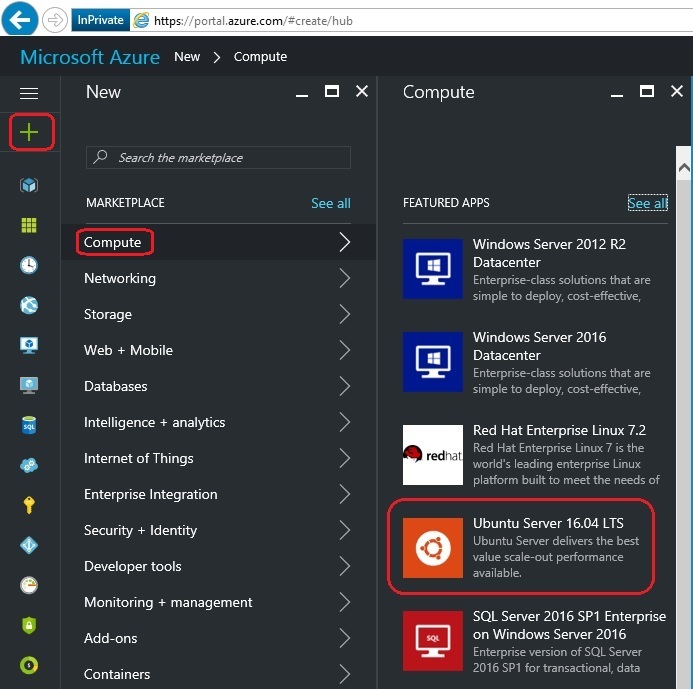 So today first of all we will see how to setup a Linux VM on Microsoft Azure cloud. 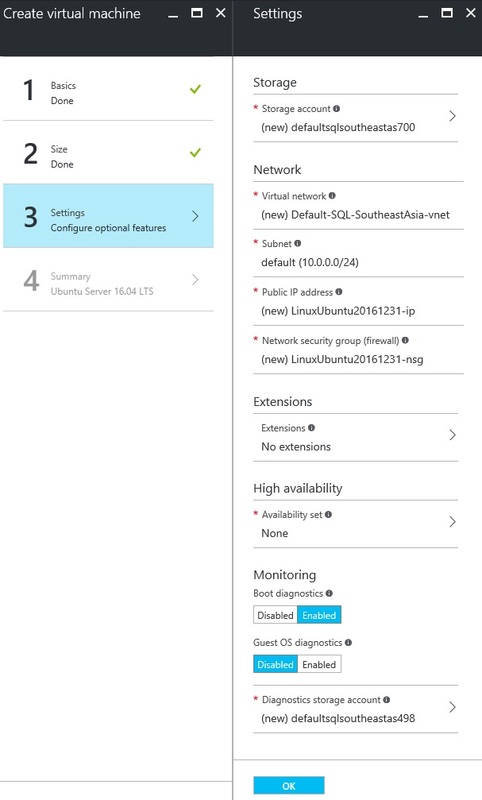 And in next posts I’ve show how can we Install & Setup SQL Server on Linux. 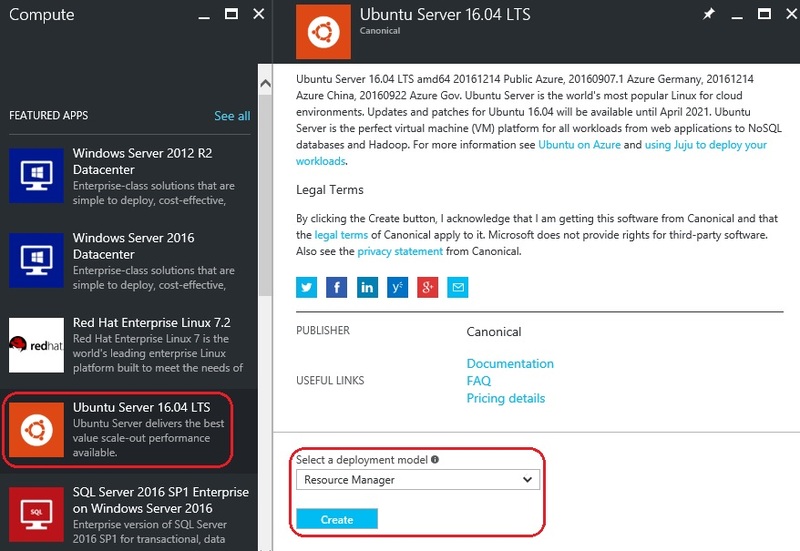 I will use Ubuntu Server 16.04 LTS (Xenial Xerus) version from Azure Marketplace, and show how to setup a Linux VM in a step by step process. 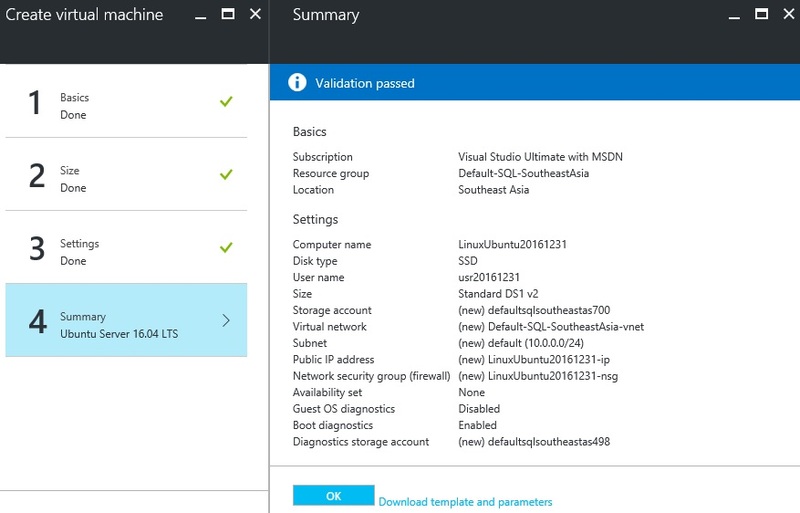 All you need is a Microsoft Azure account, if you have not setup, please do it from here. 1. 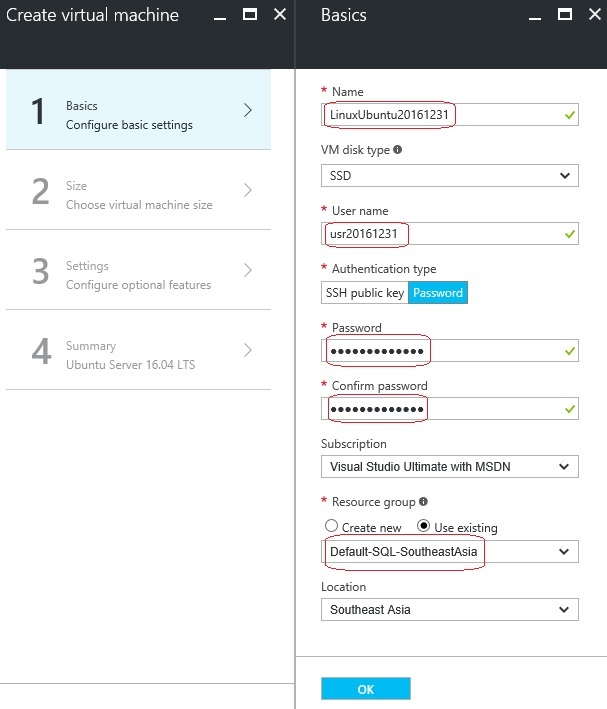 Go to portal.azure.com and login with your credentials. 2. Click on the “+” icon, under “Marketplace” select Compute and under “Featured Apps” select Ubuntu Server. 3. The “Deployment Model” must be showing as Resource Manager by default, if not select form the drop-down list, and click on Create button. – Location: select location as per your preference and available in the list. 5. On “2. 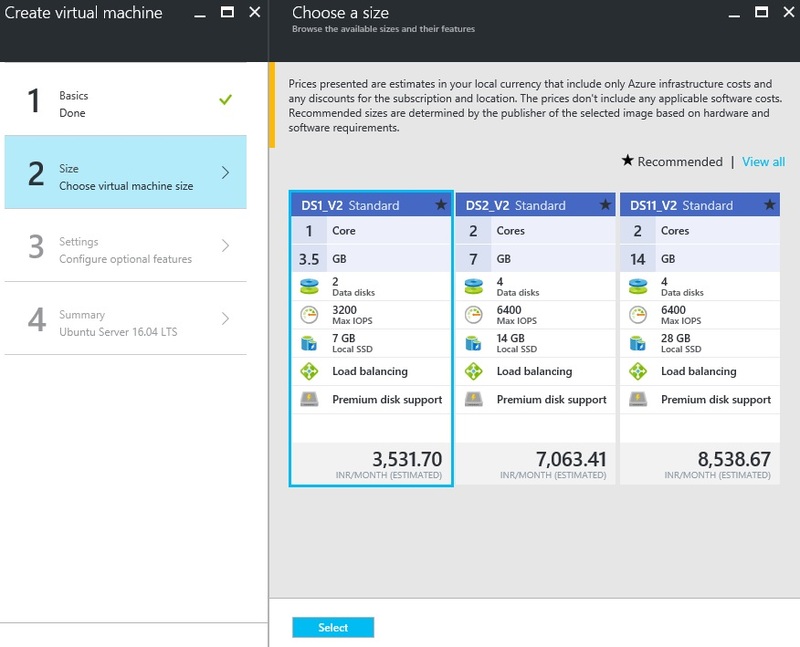 Size” section Choose a size for your VM. I selected the DS1_v2 Standard, the cheapest one, finally click on Select button. 7. On the “4. Summary” section, the Portal will do various validations, just confirm all the settings and click OK.
9. Now to get the NIC (network Interface Card) or the User Name & IP address of your VM, click on the widget. It will open a new window where you can check all the details related to your new Linux VM. Just click the Connect button at the top which will show you the details so that you can connect via SSH or Telnet. a. SSH directly from a Mac or Linux Terminal workstation. b. Or, if you are on a Windows workstation, you need to use PuTTY, MobaXTerm or Cygwin to SSH to the Linux Azure VM. 12. After you successfully logged in you will see some welcome message from Ubuntu with other details. Just to make sure I’m really connected to a Linux command shell, I tried executing a Unix command “ls /” to list all the files & directories in the root drive. 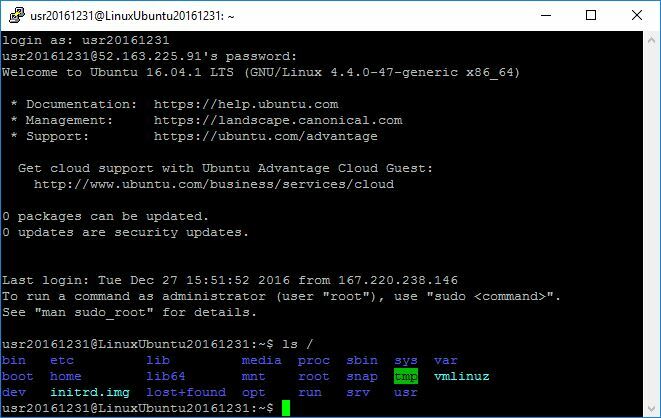 So, this is how you can simply Create or Spin up a Linux VM in few minutes !!! 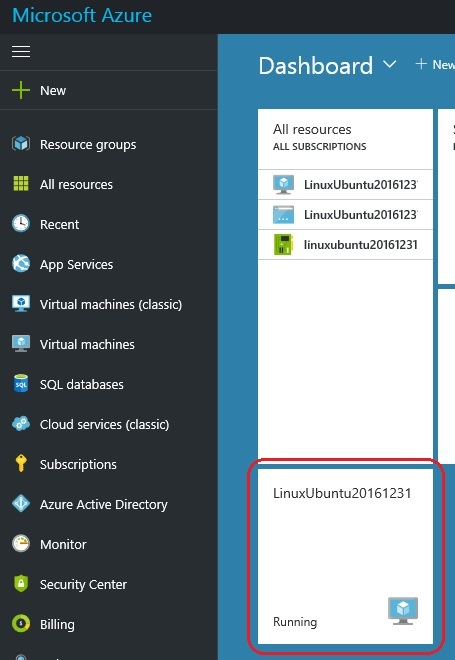 In my [next post] I’ll setup or install SQL Server vNext on this Linux VM and show you how can we connect via SSMS from a Windows workstation.